Let's rewind back to yesterday, and what happened around my personal space. As i mentioned in my previous blog post, i got the free buffet dinner voucher at Coffee Terrace Genting Highland. Well both my gf and I reached there around 6.30pm, it's a long walk from First World Hotel. Anyway found out the buffet dinner here is priced at RM 60++ for adult. Nice, i got RM120++ worth of freebie. The place looks, and smells great. Ambiance wasn't excellent due to the number of people there, but the food really looks great. And i was to find out later the food tastes great too! 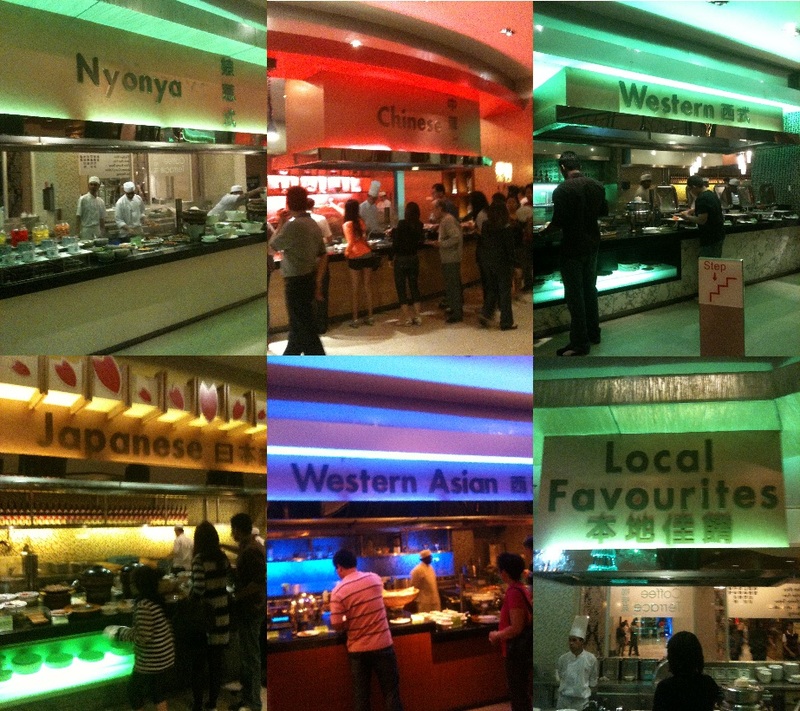 You will really be spoilt for choice here, as there are so many counters ranging from western to asian foods. Just have a look below at the various counters. It made me wonder about the cooks and chefs working there, every counter had like 4 to 5 workers behind the counters. Where do they get the money to pay these workers? 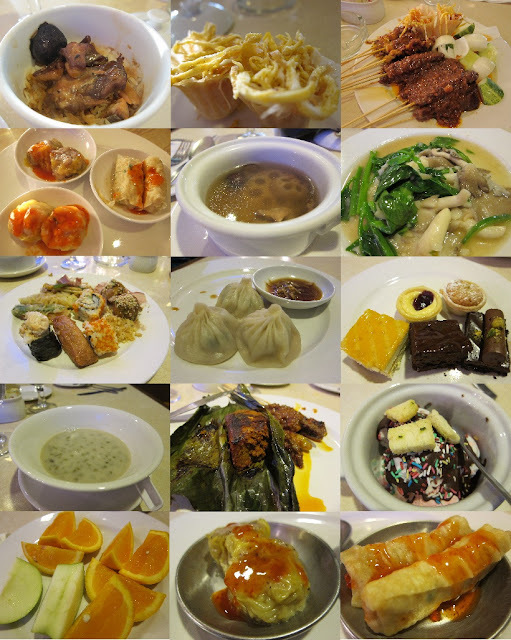 Next up will be a sampling of the food that we ate. Are you ready yet? Have a look below. Urgh, we were so full after the meal. Reminder to self, wait at least 2 months before going for another buffet binge. It's so unhealthy for the stomach. Next up on the agenda at 9pm was yet another freebie. I love freebies. It was time for the free "Glitz" show at Pavilion First World. The show itself was good, albeit a bit short in terms of casts as well as perfomances. The usual fare of magic show, choreographic dances, acrobatic show, and a new one, sand art in motion. The music chosen was nice though. Comparing "Glitz" with the previous "Dreamz", Glitz was so much better. We weren't allowed to take pictures during the show so i can only show you a picture taken before the start of the show. Before the show, no photography allowed during the show. After the show, to help digest our stomachs, we took a walk outside Genting Hotel. It was so cold it kind of reminded me of winter. Anyway below are a few pictures we took of this giant lighted christmas tree just outside. Me! I look fat, cause I AM fat! A colleague was just telling me the other day that some blogs were meant for self cam-whoring, this isn't considered cam-whoring right? Reached back the room at around 11pm plus, and gracefully retired for the night. I have to get my beauty sleep as i need to wake up early the next day.